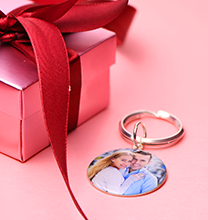 Send a beautiful message with a round pendant necklace! Our Disc Necklace in Silver with Semi-Precious Gemstone! 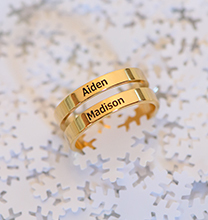 Perfect for mum, grandma, or anyone else who holds a special place in your heart, this gorgeous piece offers lots of little details that add up to one spectacular piece of jewellery. This necklace features two lovely pendants that hang from a beautiful beaded chain. 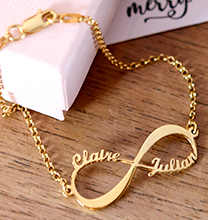 The first pendant is a disc, which can be customised with the text of your choice. 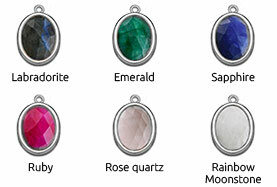 The second is a semi-precious gemstone in the colour you like best. 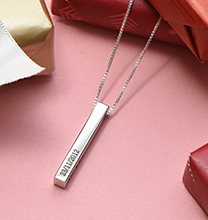 This necklace with engraving is perfect for celebrating children, commemorating couples, or treating the wearer to an inspiring word to provide support, love, or motivation. Once you’ve decided how you’d like to customise the disc, add a gemstone to make the look complete. The emerald offers a beautiful green colour, while the sapphire provides a touch of brilliant blue. The rose quartz adds a touch of soft, feminine pink to the necklace, while the ruby’s colour is a deeper, brighter tone of pink. If you love the idea of bold contrast, you’ll appreciate the labradorite’s natural black hue. White rainbow moonstone provides contrast too, but with a bright, white colour. 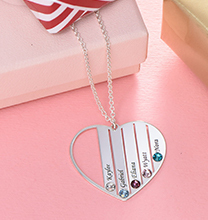 This necklace is made with 0.925 Sterling Silver. The pendants hang from our New Beaded Chain, which is also made of Sterling Silver. We invite you to view our disc necklace collection for additional options, including this meaningful style in your choice of 18ct Gold Plated or 18k Rose Gold Plated. 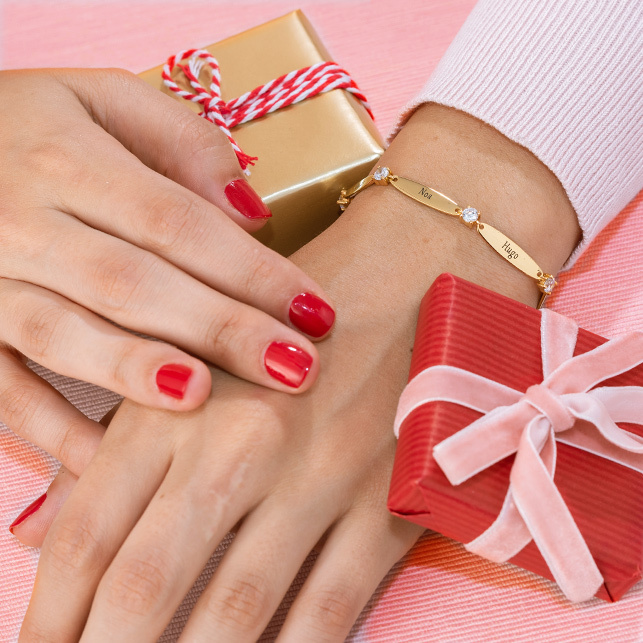 All the semi-precious stones offered are natural stones. Ruby, Emerald and Sapphire are dyed to enhance their colour.